Can juries tame prosecutors gone wild? Some critics think ordinary citizens are the fix for a weak spot in the American justice system. Others think they’re being naive. The suicide of Internet activist Aaron Swartz, who faced felony charges at the time of his death that could have sent him to prison for 35 years, has provoked an outpouring of debate about the power of government prosecutors. Swartz had been charged with 13 felonies for sneaking into a wiring closet at MIT and using his laptop to download millions of academic articles through the school’s computer network. According to Swartz’s lawyer, the federal prosecutor’s office offered the 26-year-old a deal that would have required him to plead guilty on all counts in exchange for a six-month prison sentence. On Jan. 11, days after rejecting the deal, Swartz took his own life. Swartz had struggled for years with depression, and it is impossible to know what led him to kill himself. But in the weeks since his death, he has become a rallying point for critics of the criminal justice system who see his story as an object lesson in the excessive power of government prosecutors. By stacking charges as high as possible and wielding the threat of mandatory sentencing laws, the argument goes, prosecutors intimidate defendants and make it all but impossible to turn down their offers. Prosecutors, even the most conscientious ones, work within a system that is set up to reward toughness, and concerned lawyers, activists, and legal scholars have been calling for more checks on their power for years. But changing the status quo has proven difficult, in large part because voters have repeatedly demonstrated their preference for prosecutors who know how to get convictions swiftly and often. By now, there have been lots of ideas for how to rein in prosecutorial power. Some have suggested judges should play a bigger role in reviewing charging decisions. Others want to reduce the number of laws on the books, so that people can’t be charged with 13 overlapping crimes when they’ve really just committed one or two. Others still have argued that prosecutors should be forced to reimburse citizens for legal fees when charges end up getting dropped or they’re found not guilty. But an outspoken group of thinkers has proposed another approach to the problem—one that begins with the observation that fewer than 5 percent of cases brought by American prosecutors every year lead to an actual jury trial, while the rest play out in plea bargains almost entirely behind closed doors. In practice, that means juries have all but vanished from the justice system, replaced by a highly efficient machine that processes cases without ever stopping to consider what seems moral or fair. To rein prosecutors back in, these scholars argue, America should reinstate ordinary citizens to their rightful place in the process, and with them a common-sense vision of fairness. Simmons and his allies have proposed imaginative new ways in which the judgment of laypeople could help restore balance in the secretive early phases of criminal justice. 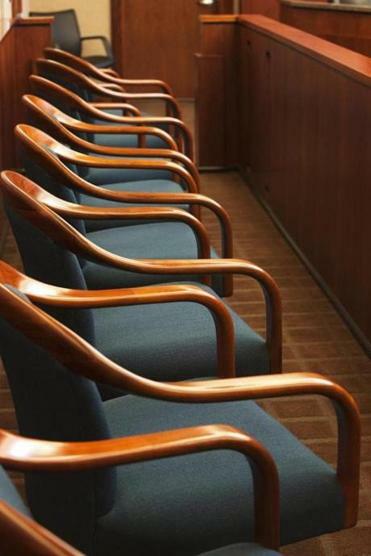 They call for new kinds of juries or new uses—and new powers—for the ones we already have. At the heart of their argument is a belief that regular people, with no personal stake in the outcome and an average citizen’s sense of right and wrong, can offer a much-needed counterweight to the professionals tasked with enforcing the letter of the law. But is it naive to think so? State and federal prosecutors occupy some of the highest-profile seats in American civic life, armed with the power of the law to protect their constituents from criminals and corruption. The prosecutor’s office has been the launching point for countless political careers, including former Massachusetts governor William Weld, newly minted Secretary of State John Kerry, and recently elected Massachusetts Representative Joseph Kennedy III. In 2010, Massachusetts Attorney General Martha Coakley came within an inch of a Senate seat. In making one’s name as a prosecutor, what tends to matter is winning convictions, and lots of them. The most efficient way to do that is to strike plea bargains and avoid trials, by threatening defendants with potentially devastating prison terms and convincing them to plead guilty to lesser crimes. To critics, this means that the charging process essentially rigs the game against defendants from the outset. Civil libertarians regard this as a dangerous gap in our rights: While the police who investigate and arrest us are bound by strict limits on what they can do, and courts must abide by procedures designed to treat defendants fairly, there are hardly any guidelines in place to protect us during the charging phase. The result—as any “Law & Order” fan knows—is a system where the prosecutor loads up as many charges as possible to force a guilty plea, and moves on to the next case. “What we really have is a plea bargain system with a thin froth of showy trials floating on top,” said Glenn Reynolds, a professor at the University of Tennessee College of Law who published a widely circulated paper earlier this month on the topic of prosecutorial overreach. Changing this, say reform-minded experts like Reynolds, would not necessarily require a radical reworking of how prosecutors do their jobs. Instead, it would be enough to strengthen an institution that’s already in place, though widely marginalized: the grand jury, a panel of citizens who are supposed to watch over the shoulders of prosecutors to make sure their fellow citizens aren’t being improperly charged, bullied, or targeted arbitrarily. Grand juries today are required by law in just 19 of the 50 states—Massachusetts among them—and even there, they’re used only to indict felons. Officially, their job is listen to the prosecutor lay out the evidence and determine whether there is probable cause to charge the suspect with a crime. But in practice, grand juries tend to serve as rubber stamps, indicting almost everyone who comes before them. (It was a federal grand jury that indicted Aaron Swartz on felony charges in July 2011.) The joke in legal circles is that any prosecutor worth his salt could convince a grand jury to indict a ham sandwich. To restore grand juries’ power to protect people from prosecutors, one important change states could make, Simmons says, is to give suspects the right to testify at their own hearings, and their attorneys the right to present exonerating evidence. Currently, there are only four states in the United States where those rights are in place; among them is New York—and, tellingly, approximately 6 to 10 percent of New York’s criminal cases are struck down by the grand jury, vastly higher than the national average. When Simmons was a prosecutor in New York earlier in his career, he said, there were several times when people he was trying to indict—a young military veteran accused of cocaine possession, a man who tried to bribe a police officer so he wouldn’t have to spend the night in jail—spoke up on their own behalf, and convinced the grand jury they didn’t deserve the proposed charges. In those ­cases, Simmons says, there was clearly probable cause to indict, but the jurors decided there was something about the situation that made the prospect of criminal punishment seem unfair. Instead of being asked to make yes/no determinations about probable cause in felony cases—at heart a technical legal matter—Bowers argues that grand juries should instead be asked to weigh the fairness of all kinds of charges, including subway turnstile hops, public urination, graffiti, and marijuana possession, and throw them out if they don’t meet basic moral standards. “Laypeople are bad at applying law to fact,” Bowers said. “I think they are much better when it comes to moral reasoning—using everyday wisdom and their experience and existence in the world to make moral judgments about what we ought to do.” In a recent paper, Bowers invokes the morally ambiguous story of a doctor in New Orleans charged with homicide after euthanizing people stranded in a flooded hospital after Hurricane Katrina; in that case, after deliberating for months, the grand jury declined to indict. 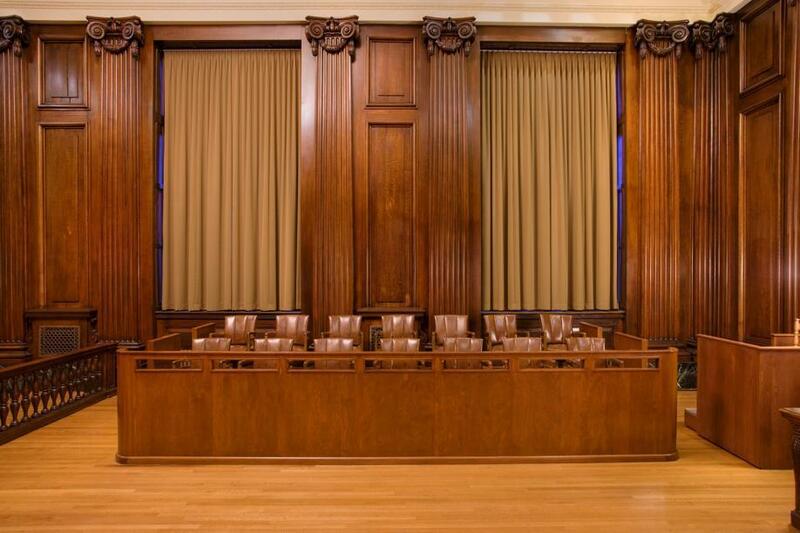 Though grand jury reform has achieved traction in some circles, most experts in the legal field are skeptical that bringing laypeople into the charging process is the right way to curb prosecutorial overreach. For one thing, there are practical concerns: Though having ordinary citizens weigh in on every little misdemeanor and every plea deal might make the system less ruthless and less mechanical, it would also slow it down severely, and require a bigger time commitment from citizens who are already inclined to treat jury duty as a huge imposition. But there’s a bigger issue, too: As Daniel Richman, a professor at Columbia Law School points out, the defining feature of laypeople is that they’re not experienced in what they’re being asked to do—and even worse, they are frequently biased in ways that would compromise their ability to make objective judgments. Richman argues that in order to be fair, the criminal justice system must treat like crimes alike—which is precisely why having a professional prosecutor keeping track of precedent and making decisions based on past practice is better than having random people come in off the street. Even Bowers concedes that a quick look at the distant past, when American grand juries were more powerful, underscores this concern: For every instance of a Northern jury refusing to indict an abolitionist for violating the Fugitive Slave Act, there was a Southern jury that refused to indict a white person facing charges of violence against a recently freed slave. At issue, then, is whether we should expect ourselves and our fellow citizens to know better than the professionals what is and isn’t fair. Richman points out that citizens like tough justice systems, as they’ve shown by electing tough-on-crime politicians and prosecutors. He argues that it would be foolish to expect something to change when the same citizens were impaneled on a jury. But proponents of more public participation argue that people think about punishment differently in the abstract than when a crime is real and specific. It’s easy, they say, to be unforgiving while sitting at home and thinking about the threat of crime, but harder when you’re actually facing a defendant and deciding what should happen to him. Of course, it’s impossible to know how more input from everyday citizens might affect any particular case. To the people on the federal grand jury in Massachusetts, a suspect like Aaron Swartz might have looked more sinister, or more innocent, than we assume from the outside. The question, as we scrutinize the workings of our criminal justice system, is how much we want their opinions to matter.